Dr. Ibrahim Chamseddine, who was supervised by Professor Michael Kokkolaras throughout his doctoral studies, recently won the 2018 GERAD Best Thesis Competition for his Ph.D. thesis. GERAD (Groupe d'études et de recherche en analyse des décisions) is a multi-university research centre founded in 1979, involving some 70 experts from a mix of disciplines. Read more. Professor Yaoyao Zhao has been named as a William Dawson Scholar. Professor Zhao joins a select groups of early-career professors at McGill University who have demonstrated particular promise. More specifically, "The William Dawson Scholar award recognizes a scholar developing into an outstanding and original researcher of world-class caliber who is poised to become a leader in his or her field, similar to that of a CRC Tier II chair holder." Professor Damiano Pasini has been named as a James McGill Professor, in acknowledgement of his leadership in his field. More specifically, the award "recognizes a senior scholar’s status as an outstanding and original researcher of world-class caliber and an international leader in his or her field. 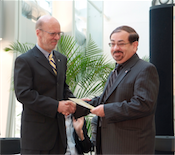 The award is similar to that of a Canada Research Chair Tier I." 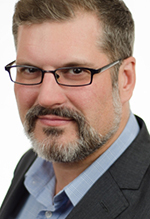 Professor Marco Amabili has been elected secretary of the Executive Committee of the Applied Mechanics Division of the American Society of Mechanical Engineers (ASME) and as Chair of the Canadian National Committee for International Union of Theoretical and Applied Mechanics (IUTAM). Osaid Jawdat Matar, Ph.D. candidate, is the 2018-2019 recipient of the H.S. Ewing Award. This prize was established in 1911 by Mr. H.S. Ewing, a benefactor of the University, to support meritorious students acting as lab demonstrators in the Department of Mechanical Engineering. As lab teaching assistant for course MECH 362 over the past three years, Osaid has shown exemplary commitment, interest and attentiveness to the students. Kevin Venne, Ph.D. candidate, has been awarded the Michael P. Païdoussis Prize for 2017-2018. This prize was established in 1993 by Dr. Michael P. Païdoussis, Thomas Workman Emeritus Professor in the Department of Mechanical Engineering. It is awarded to the author of the best Master of Engineering thesis written in a given academic year, in terms of content and literary style. The student must be proceeding to doctoral study to be eligible for this prize. Professor Mélanie Tétreault-Friend organised an inaugural wine & cheese for women undergraduate and graduate students of the Department of Mechanical Engineering. The event held on January 15 was a resounding success. Professor Tétreault-Friend invited these students to provide an opportunity for them to connect with one another, discuss common interests and issues, and to hear about a variety of research within the Department today. Professor Marco Amabili has been invited to give the 2019 Koiter lecture at The Netherlands Graduate School of Engineering Mechanics in October. The Koiter lecture honours researchers who have made a profound contribution to the field of Engineering Mechanics. Koiter Lecturers. 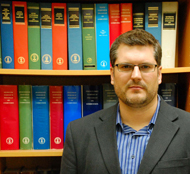 Professor James Forbes was recently named as a William Dawson Scholar. Professor Forbes joins a select group of early-career professors at McGill University who have demonstrated particular promise. More specifically, "The William Dawson Scholar award recognizes a scholar developing into an outstanding and original researcher of world-class caliber who is poised to become a leader in his or her field, similar to that of a CRC Tier II chair holder." Read more. Professor Arun K. Misra recently received the Dirk Brouwer Award "for his outstanding and lasting contributions to astrodynamics of tethered satellite systems, flexible spacecraft, spacecraft orbiting asteroids, robotics for orbital assembly and debris capture." 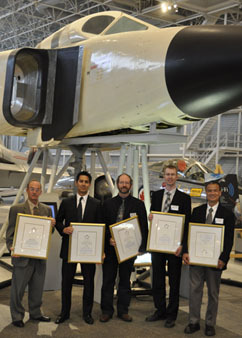 The Dirk Brouwer Award was established by the American Astronautical Society to honour significant technical contributions to space flight mechanics and astrodynamics. Professor Misra is the winner of this award for 2017. Dirk Brouwer Award. Read more. Professor Marco Amabili has been elected to the European Academy of Sciences and Arts. This is an important achievement; until now the European Academy of Sciences and Arts included only nine Canadian members, including John Polyani, winner of the 1986 Nobel prize for Chemistry. EASA. Read more. Professor Michael P. Païdoussis recently received the ASME Worcester Reed Warner Medal for his “seminal contributions to the permanent literature of engineering research through highly praised books on fluid-structure interaction in axial and cross flows, and numerous breakthrough papers over the past 50 years.” The Department is proud to congratulate Professor Païdoussis for his ongoing contributions to the community and to the Department. ASME Medal. Read more. A team of five engineering students working under the supervision of Prof. James Richard Forbes launched a balloon plus payload system Varennes, Québec, on June 22nd. The team consisting of Jonathan Arsenault (M.Eng. (thesis) candidate), Lindsey Grant (M.Eng. (Aerospace) candidate), Paul Albert-Lebrun (B.Eng. candidate), and Charles Cossette (M.Eng. (non-thesis) candidate) are designing an autonomous parafoil payload-delivery system to be used by the McGill Rocket team (https://www.mcgillrocketteam.com/ ) and the McGill Space Systems Group (http://www.mcgillspace.com/) to test and recover hardware from high altitudes. The team’s balloon plus payload systems reached an altitude of nearly 60,000 feet (approximately 18.3 km), and landed over 250 km away near Rumford, Maine, USA. The team successfully tested and recovered their hardware, allowing them to move onto the next phase of their project. The team’s launch was assisted by members of B.R.A.Q. (Ballon Radioamateur du Québec). Sponsorship for the team is graciously provided by McGill University, McGill University’s Centre for Intelligent Machines, the McGill Institute for Aerospace Engineering (MIAE), the SURE program, and Qualcomm. View more. On Canada Day, July 1, 2017, Canada's newest astronauts were announced: Dr. Jennifer Sidey (B.Eng. Honours '11) and Mr. Joshua Kutryk, both from Alberta. The Department of Mechanical Engineering is very proud of Jennifer's achievement. Some background, provided by Professor Bergthorson, her honours thesis advisor: During her studies, Jenni stood out as a student who wanted to truly understand each subject. Her undergraduate Honours research focussed on metal-water reactions, specifically aluminum, to produce hydrogen on demand as part of a green energy cycle. She also assisted Ph.D. student Francois Tang on microgravity experiments conducted at the NRC facilities in Ottawa, with the project supported by the Canadian Space Agency. These experiments involved the combustion of iron with air and other oxidizers to develop an improved understanding of the fundamentals of metal combustion. Following her Bachelor’s degree, Jenni pursued her Ph.D. at Cambridge University under the supervision of Professor Epaminondas Mastorakos in the Hopkinson Laboratories. Her Ph.D. research shed new light on the concept of low-emissions combustion technologies. Throughout her studies and professional career, Jenni has been focused on communicating science and engineering to the general public and, especially, youth and young women. Read more. Researchers in the Department of Mechanical Engineering are studying new fuel technology to provide a cleaner alternative to power vehicles of the future. Read more. Are you a CEGEP or high school student interested in pursuing a degree in engineering? Are you a member of industry interesting in seeing what McGill Engineering students have to offer? Join us for a student project exhibit that highlights creativity and innovation at McGill Engineering! Learn about 3D printing, mobile apps, arts & engineering, autonomous vehicles, biomedical, green energies, robotics, smart cities & internet of things and much more! Read more. Five McGill graduates in Mechanical Engineering are candidates participating in the 2017 Canada Space Agency astronaut selection process. Vincent Beaudry (M.Eng. '09), Julie Bellerose (B.Eng. Honours '03), Shane Jacobs (B.Eng. '04), Jennifer Sidey (B.Eng. Honours '11) and Geneviève Vallières (B.Eng. '02) are running for the chance to be the next Canadian astronauts. Two individuals will be chosen among 70 exceptional candidates. Read more. The Graduate Association of Mechanical Engineering Students at McGill University (GAMES-McGill) is celebrating National Engineering Month this March through a Graduate Research Showcase. This academic showcase, with two mini-symposia (poster and oral presentations), will highlight the multi-disciplinary research being conducted in Mechanical Engineering by its graduate students and post-doctoral fellows. Read more. To be a participant, submit a GAMES-McGill Abstract Application Form by February 17, 2017. Jenny Chao (B.Eng. '99, M.Eng. '02, Ph.D. '08) was profiled in The New York Times recently in an article which described the work she does as "preventing factory explosions by (safely) blowing stuff up". Dr. Chao is a senior lead research scientist at FM Global, who was supervised throughout her graduate studies by Professor John H.S. Lee of the Department of Mechanical Engineering. Read more. Felix Lamy, undergraduate student in Mechanical Engineering at McGill University, is one of seven students across the globe to win a one-year placement at the INFINITI Technical Centre in Cranfield and at the Renault Sport Formula One Team in Enstone, Oxforshire, United Kingdom. Read more. Aaron Gluck-Thaler, a prizewinning Mechanical Engineering student, is a scholar-elect from Quebec. “If the Rhodes is one thing,” Gluck-Thaler said, “it’s an amazing platform to do work in the public interest…. It’s a community I’m thrilled to a part of.” He said the Rhodes Trust has shown its commitment to equipping the leaders of tomorrow with the resources they need to benefit the public. Read more. Professor François Barthelat in the Department of Mechanical Engineering has been awarded a three-year grant worth $379,681 from the Natural Sciences and Engineering Research Council (NSERC) for his project entitled "New laser-engraving strategies for the manufacturing of toughened glass." Glass is used to make everything from car windshields to instrument gauges because of its hardness, durability, chemical stability and outstanding optical properties. However, its use is restricted by its main drawback: brittleness. The NSERC Strategic Partnership Grant will allow Professor Barthelat and his research team from the Department of Mechanical Engineering to continue exploring how to strengthen glass by using a 3D laser to actually engrave cracks in glass in configurations designed to make it difficult for the cracks to continue spreading. The team will be working with three glass manufacturing companies from different industrial sectors to see how these techniques can be applied to strengthen varying thicknesses and curvatures of glass." Read the full news release. The mechanical engineering admissions standard at McGill University is among the five toughest among all undergraduate programs in Canada. The rankings, based on acceptance rates and entrance averages, come from University Hub and were published online by Yahoo Canada. The article indicates that the minimum entrance averages for McGill's undergraduate programs may collectively be the highest in Canada but that the standard for mechanical engineering is especially high at 95 percent. Read more about McGill's admission standards. ​Mechanical Engineering majors Hussain Buxwala and Mikel Garcia-Poulin were part of the 11-student-strong "Gang from McGill," which shined at the 2015 SAE AeroTech Conference and Exhibition in Seattle, WA, and earned a feature story in the SAE International magazine "Momentum." Research led by Dr Hossein Heris of the Department of Mechanical Engineering and Dr Jamal Daoud of the Department of Biomedical Engineering is featured on the cover of the journal Advanced Healthcare Materials. Their article describes the successful adhesion of human fibroblast cells to a scaffold biomaterial composed of hyaluronic acid and gelatin composite microgels. The findings may lead to better treatments for people affected by vocal cord injury or disease. Co-authors on the paper include Prof Luc Mongeau (Dept of Mechanical Engineering), Prof Maryam Tabrizian (Dept of Biomedical Engineering, Dept of Anatomy and Cell Biology), Dr Hojatollah Vali (Dept of Anatomy and Cell Biology), and Dr Sara Sheibani (Dept of Anatomy and Cell Biology, Defence R&D Canada). ​Don't miss the January 15, 2016, edition of CBC Radio's Quirks and Quarks to learn how Prof Jeff Bergthorson and colleagues are finding ways for energy to be stored and transported via iron and other metals, a novel and potentially important method for delivering fossil-fuel-free power. Mechanical Engineering student, Da-Eun Kim, is one of five CEMF Engineering Ambassador Scholarship recipients this year. The scholarships, awarded by the Canadian Engineering Memorial Foundation, recognize the achievements and community engagement of top female engineering students in Canada. Ms Kim represents the Québec region. In the following Q&A, she shares more about her volunteer activities, Mecheng experience and plans for the future. How has volunteering shaped you? Mechnanical Engineering Professor Inna Sharf will speak at the 2015 CANARIE National Summit on September 23-24 in Ottawa. The event, organized by the non-profit CANARIE, brings together leaders from Canada's government, industry and academic communities to share knowledge about technological innovation and explore opportunities for collaboration and development. 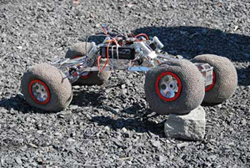 Professor Sharf focuses her research on unmanned aerial vehicles, space robotic systems, and legged robots. In October 2014, Robohub included her on a list of "25 women in robotics you need to know about." 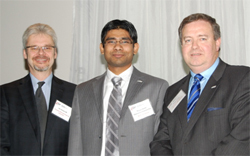 The 2015 Wighton Fellowship Award was awarded to Dr. Amar Sabih for his exceptional and innovative contribution to the instruction of laboratory-based, undergraduate engineering courses in Canada. The fellowship is funded by a generous endowment from the late Dr J.L. Wighton, a professor with a commitment to the laboratory component of engineering curricula. In cooperation with the National Council of Deans of Engineering and Applied Science (NCDEAS) and the Sandford Fleming Foundation, the fellowship was formed in 1986. The Fellowship has been awarded every year since its inception.Dr Sabih is the 30th Wighton Fellow. Associate Professor Srikar Vengallatore received the Samuel and Ida Fromson Award, which recognizes outstanding teaching performance by an Engineering professor. 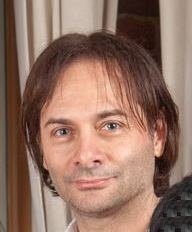 Professor Marco Amabili won the Christophe Pierre Award for excellence in research, particularly in terms of innovation and impact. And one of two William and Rhea Seath awards, honouring innovative research with commercial potential, went to Associate Professor Damiano Pasini and colleagues for their outstanding and innovative research project entitled "Fully Porous Hip Replacement Implant Capable of Eliminating Bone Resorption." The team also won 1st place honours (Innovation Driven Enterprise Track) in the 2015 McGill Dobson Cup Start-UP Competition. Congratulations to Dr. Michael Kokkolaras on being granted tenure! 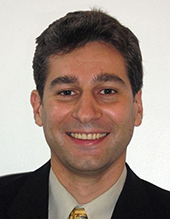 A member of McGill's research community since 2012, Dr. Kokkolaras studies multidisciplinary optimization, simulation-based engineering design, uncertainty quantification, decomposition and coordination methods, modeling and validation, systems of systems, product families and optimization applications in engineering. He has co-authored 46 articles in archival journals, 59 papers in conference proceedings and 5 book chapters and has given more than 40 invited talks at academic, industry and government seminars and workshops. He served as Associate Editor of the ASME Journal of Mechanical Design from 2008 to 2014, and is currently Associate Editor of the CSME Transactions and the Optimization and Engineering journal. 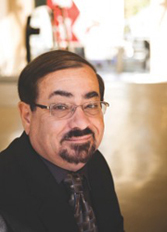 Read on to learn more about Dr Kokkolaras and his distinguished path to tenure. Mecheng alum featured in "McGill dans la ville"
Department of Mechanical Engineering alumnus Kieran Humphries is featured, along with electrical engineer Diego Mascarella, in the May 2015 edition of McGill's French-language publication McGill dans la ville. "Diego and Kieran are both young and bright McGill-trained research engineers," said Prof Benoit Boulet, who supervises their work on the e-drivetrain APC project, which engages industry partners such as Linamar, TM4, Infolytica and Purolator. Full article available in French and English. Professor of Mechanical Engineering Lucjan Kops died peacefully at his home on Tuesday, May 19, approximately one year after being diagnosed with pancreatic cancer. His friend and colleague Dr. Helmi Attia was with Professor Kops at the time of his death. “He was in comfort and in the care of a doctor and nurse who were taking very good care of him,” Dr. Attia said. “He will be missed for his kindness and the contributions he made over the years to the manufacturing teaching and research at our department.” Prof Kops will be buried in Poland, but a funeral service will be held this Friday at 3pm at Paperman & Sons Funeral Home. Memories of Prof Kops can be shared at the Gazette’s obituary page. Donations to support cancer research can be made in his honor at the Segal Cancer Centre c/o the Jewish General Hospital Foundation. Students Pengfei Song, Weize Zhang and Alexandre Sobolevski, under the supervision of Professor Xinyu Liu, won the Best Paper Award in the Microfluidics Symposium at the 2014 ASME IMECE conference. The team developed a microfluidic device for on-chip culture, chemical perfusion and phenotype identification of the nematode worm C. elegans, a promising development for worm-based, high-throughput chemical testing. The device can house single worms in microfluidic chambers, the chemical environment of which can be adjusted according to experimental needs. Eight worms can be efficiently loaded into the chambers through separate channels. Custom software with a graphic interface permits quantitative analysis of the worms' locomotion parameters (e.g., swimming frequency and bend amplitude) in response to the chemical stimuli, thus greatly enhancing the efficiency of data collection. This project was completed through close collaboration with the research group of Professor Siegfried Hekimi at McGill’s Biology Department. A research article co-authored by Chen Zhao, Guowei Zhong, Da-Eun Kim, Professor Jinxia Liu (Civil Engineering) and Professor Xinyu Liu is nominated as one of 10 finalists for the Best Paper Award by the AIP journal, Biomicrofluidics. The finalists were selected from the 185 articles published by the journal in 2014. The article reports a handheld lab-on-a-chip instrument integrating gold nanoparticle-based chemistry for colorimetric detection of metal ions, such as lead (Pb2+) and aluminum (Al3+), in drinking water. This portable device will have important applications for onsite water quality monitoring and is currently under further development for field water tests. Musical instruments created by students Steven Phillips and Ajith Damodaran, under the supervision of Professor Larry Lessard, were displayed at the Design Museum in Ghent, Belgium, during the month of April 2015. An exhibition called “Kunststof Natuurlijk,” or “Synthetic by Nature,” showcased 50 objects made from flax, hemp, bamboo and other biocomposites. Natural fiber composites are gaining interest in engineering design, and this exhibit featured the state-of-the-art and future possibilities for these materials. The Lessard team contributed a flax-fiber ukulele designed by Phillips and a flax-hybrid Chenda drum designed by Damodaran. Also included in the exhibit were furniture, car parts, a motorcycle, bicycles, skis and other sports equipment. Professor Xinyu Liu is one of 10 McGill researchers to receive a 2015 NSERC Strategic Project Grant. His proposal, entitled "Paper-based microfluidic devices intergrating inGaN/GaN semiconductor microtubes for ultrasensitive detection of disease markers," has been awarded $394,300 to investigate portable, ultrasensitive biosensors that can quickly detect disease markers. In addition to improving health care through early-stage disease diagnosis and treatment, the technologies developed in this project will enable the development of other types of paper-based electronic sensors for non-diagnostic applications, such as environmental monitoring, food safety inspection, and consumer electronics. Congratulations to Dr. Larry Lessard on his promotion from associate to full professor! A member of McGill's research community since 1989, Professor Lessard studies composite materials and their structures, with applications in fields as diverse as aerospace engineering, sporting equipment and musical instrument design, and robotics. To learn more about Larry's research, please see his profile and the Structures and Composite Materials Laboratory website. Professor Jeffrey Bergthorson in the Department of Mechanical Engineering has been named the first Panda Faculty Scholar in Sustainable Engineering and Design at the Trottier Institute for Sustainability in Engineering and Design (TISED). Also recently appointed Associate Director of TISED, Prof Bergthorson began a 3-year term in both roles on January 1, 2015. Professor Bergthorson is an expert in the combustion properties of alternative and sustainable fuels, including biofuels, and is a Theme Leader within BioFuelNet Canada, a Network of Centres of Excellence. As Panda Scholar, he will pursue research on zero-carbon energy research and technology development to enable a more sustainable, low-carbon future. Prof Bergthorson explores the use of metal powders as recyclable solar fuels for zero-carbon power generation. Metal fuels may be superior alternatives to compressed or liquefied hydrogen as future energy carriers, thus supplementing and replacing many of the essential roles of hydrocarbon fuels in modern society. By studying metal-water reactions for in-situ hydrogen production and the direct combustion of metal-fuel suspensions in air, Bergthorson’s research group is developing the science and technology needed to harness the chemical energy in metal fuels, using heat-engine and fuel-cell systems, to power heavy machinery, automobiles, and other forms of transportation. The Panda Faculty Scholar in Sustainable Engineering and Design award was established through an endowed gift to the Faculty of Engineering from alumnus Ram Panda (M.Eng. ’71, MBA ’77). This Faculty Scholar position supports exploratory and highly innovative research in sustainability. It advances and enriches the teaching and research programs launched by TISED. The award provides funding for doctoral student research in sustainable engineering and design and opportunities for outreach, research and policy work. Research led by Professor François Barthelat in the Department of Mechanical Engineering earned a spot on Quebec's list of top 10 scientific discoveries in 2014. Inspired by natural structures like seashells, Barthelat and his team developed a technique to strengthen glass. They were able to make glass 200 times more resistant to breakage by engraving micro-cracks in wavy configurations on its surface. The pattern of micro-cracks guided larger cracks and absorbed impact energy. “We chose to work with glass because we wanted to work with the archetypal brittle material, but we plan to go on to work with ceramics and polymers in future," Barthelat said. 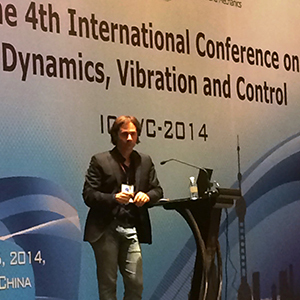 Professor Marco Amabili was the invited plenary speaker on 25 August at the 4th International Conference on Dynamics, Vibration and Control in Shanghai. His one hour talk covered nonlinear vibrations of shells and plates in traditional, soft and advanced materials. Discovery Channel recently filmed Professor Marco Amabili in his lab. 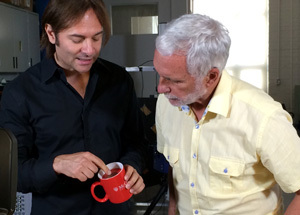 The video will show the oscillation of coffee in a mug and how to avoid to spill it when you walk. Science was made elementary and experiments visualizing the oscillation modes have been filmed. 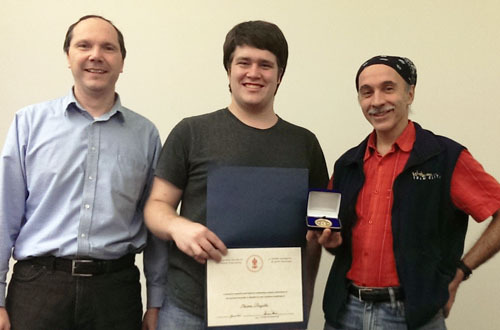 John Riedel is the 2014 winner of the CSME Gold Medal (Canadian Society of Mechanical Engineers).The CSME Medal is now given every year to an outstanding student in the MECH 463 Final Year Project Class. John Riedel's group project was entitled: “Design of a Foldable Produce Washer”. John Riedel with Professor Larry Lessard. 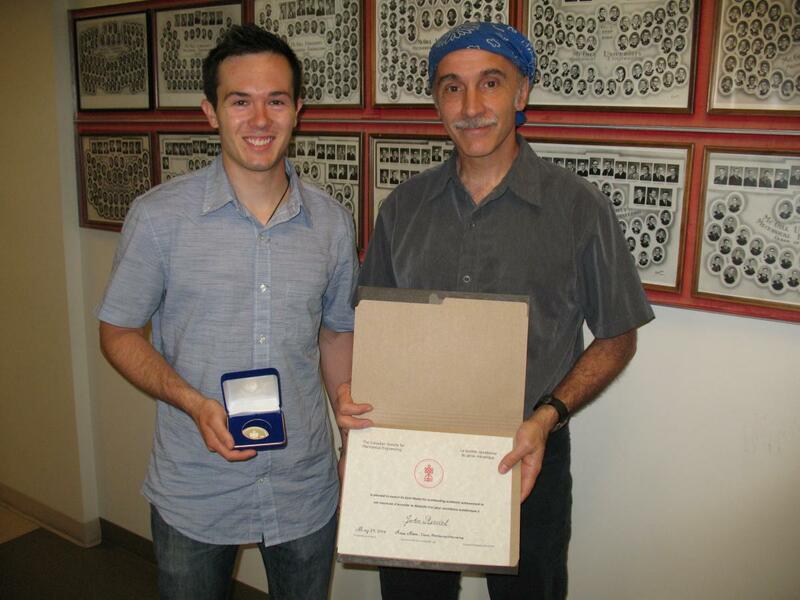 Steven Payette is the 2013 winner of the CSME Gold Medal (Canadian Society of Mechanical Engineers). This is a new award and will be given annually to the top student in the MECH 463 Final Year Project Class. Steven Payette's project was entitled "Design of an Innovative Hip-Replacement Implant Using Lattice Materials". 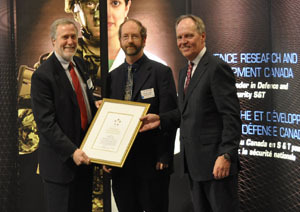 Steven Payette with professors Pascal Hubert (left) and Larry Lessard (right). Mechanical Engineering students recently participated in the 2013 SAMPE Composite Bridge Building Contest held in Long Beach, California in May 2013 where they received several prizes. Professor Larry Lessard’s students performed extremely well in the design presentation poster category, with a CLEAN SWEEP of 1st, 2nd, 3rd and 4th prize out of 61 entries. The Natural Fiber Testing Category fared 2nd out of 11 entries and the Carbon Fiber Bridge Testing Category placed 4th out of 14 entries. Although McGill entered only only 6 bridges while some teams had twice that many, the team finished in 3rd place for “overall team”. The students of the MECH 543 Design and Manufacturing with Composite Materials class are congratulated for a remarkable showing. Professor Michael Païdoussis has been awarded the Medal of the Diamond Jubilee of Queen Elizabeth II. This medal was awarded during a ceremony of the Handing-Over of the Medals held at the Stephen Leacock Building, McGill University on Sunday, February 17, 2013. 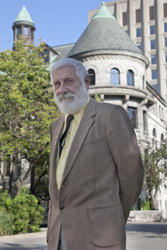 The medal is awarded in recognition of Professor Païdoussis’ achievements and various services rendered to McGill in particular, and to Canada. The medal was awarded by the Right Honourable Lieutenant-Governor of Quebec – the Honourable Pierre Duchesne. Professor Païdoussis was nominated to receive this medal by the Board of Governors of McGill University and his nomination was processed through the McGill Secretariat. Professor Marco Amabili has been appointed one of the four Contributing Editors of The International Journal of Non-linear Mechanics, Elsevier. He will cover the area of vibrations and structural mechanics. Professor Amabili also serves as Associate Editor of Journal of Fluids and Structures (Elsevier), Applied Mechanics Reviews (ASME), Journal of Vibration and Acoustics (ASME), Mechanics Based Design of Structures and Machines (Taylor & Francis). He is in the editorial board of Journal of Sound and Vibration (Elsevier) and International Journal of Structural Stability and Dynamics (World Scientific). Professor Jeff Bergthorsen has been named the 2012 recipient of the Principal’s Prize for Excellence in Teaching in the Assistant Professor category. Bergthorsen’s exceptional calibre of teaching skills and the consistent nature of his students’ tributes led to this prestigious award. 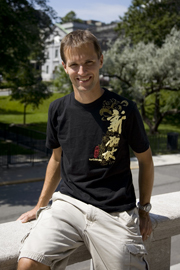 The Principal’s Prize for Excellence in Teaching, established in 2000 to recognize excellence in teaching and its importance to the academic experience of students at McGill, was awarded to one recipient in each of four categories: Faculty Lecturer, Assistant Professor, Associate Professor and Full Professor. 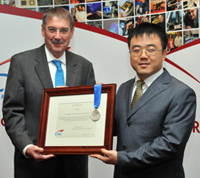 Professor Xinyu Liu was awarded the 2012 Douglas R. Colton Medal for Research Excellence from Canadian Microelectronics Corporation (CMC). The Douglas R. Colton Medal is awarded annually to a Canadian researcher to recognize excellence in research leading to new understanding and novel developments in microsystems and related technologies. Professor Liu was nominated by McGill for the Colton Metal, for his research on developing innovative microrobotic and bioMEMS technologies that enable high-throughput, automated manipulation and characterization of single cells for biological and medical applications. McGill graduate aerospace engineer Shane Jacobs (BEng’04), was part of the engineering team that created the pressurized suit for Felix Baumgartner, the Austrian daredevil skydiver who jumped from “the edge of space” earlier this month. 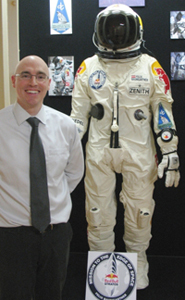 Jacobs helped build Baumgartner's suit with a team from David Clark, a Massachusetts-based company that has designed air and space crew equipment for more than 50 years. The suit was built with a long list of unique characteristics, Jacobs explained, which allowed Baumgartner to withstand huge ranges of temperature, atmospheric pressure and G-force. On March 2, 2012, Composite Materials for Aerospace Applications PhD candidate Marina Selezneva won first prize for the poster titled: “Thermoplastic Composites Forming Technology for Complex and Integrated Aerospace Components” at the 2012 SAF (Student Aerospace Forum). She is supervised by professsors Pascal Hubert and Larry Lessard. Industrial partners are: Bell Helicopter Textron Canada Limited, Bombardier Inc., Pratt and Whitney Canada Corp., Marquez Transtech Limited, Delastek Inc. and Avior Integrated Products Inc. Government agencies are: Natural Sciences and Engineering Research Council (NSERC), Consortium for Research and Innovation in Aerospace in Quebec (CRIAQ). We are proud to announce that Mechanical Engineering professor, Wagdi Habashi, has received extraordinary recognition for his contribution to the field of Computational Fluid Dynamics. He has been conferred the Order of Quebec (l'Ordre National du Québec (Chevalier)). Mechanical Engineering students of Dr. Amar Sabih have won best poster and a sustainability fund of $3000 at McGill’s Sustainability Symposium (MSS) last month. The MSS is an initiative to encourage discussion of current research in the field of sustainability at McGill University and features a host of guest speakers and student research projects. Professor Michael P. Païdoussis has been invited to present a Keynote Lecture at the American Society of Civil Engineers / Engineering Mechanics Institute Conference, 2-4 June 2011, at Northeastern University, Boston, MA, USA. Professor Dan Mateescu has been appointed Editor-in-Chief of The Open Engineering Journal, an emerging, Open Access online journal which publishes the latest advances in aerospace engineering, fluid dynamics, space engineering and robotics. This distinction comes after serving two years as a member of the Editorial Advisory Board. He has also been an Editorial Board Member of another journal, INCAS Bulletin, since 2009, as well as a Scientific Committee affiliate for the 33rd Conference of Fluid Mechanics and Technical Applications (September 2011). 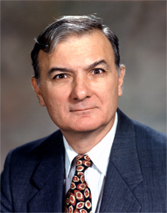 In addition to his editorial tasks, Professor Mateescu continues to be active in the research realm. With his group of graduate students, he has published seven journal papers and eight conference papers since 2010, with several others in the submission process. 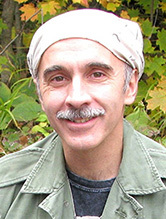 Professor Wagdi Habashi is the recipient of the 2011 CASI McCurdy Award. The Award was introduced in 1954 by the Institute of Aircraft Technicians through the Canadian Aerospace and Space Institute to recognize outstanding achievement in the science and creative aspects of engineering relating to aeronautics and space research. It is one of only five CASI Senior Awards. Professor Habashi will receive this distinction at the CASI AERO 2011 Conference and 58th Annual General Meeting’s Senior Awards Reception and Gala Banquet, which is taking place at Montreal’s Delta Centre‐Ville Hotel on April 27. Professor Michael Paidoussis has just published a book on the influence of fluid flow on structures. 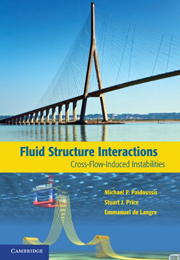 The book, Fluid-Structure Interactions: Cross-Flow-Induced Instabilities (Cambridge University Press, December 2010), was written along with professors Stuart Price and Emmanuel de Langre. Structures in contact with fluid flow, whether natural or man-made, are inevitably subject to flow-induced forces and flow-induced vibration: from plant leaves to traffic signs and to more substantial structures, such as bridge decks and heat exchanger tubes. Under certain conditions the vibration may be self-excited, and it is usually referred to as an instability. These instabilities and, more specifically, the conditions under which they arise are of great importance to designers and operators of the systems concerned because of the significant potential to cause damage in the short term. Such flow-induced instabilities are the subject of this book. In particular, the flow-induced instabilities treated in this book are associated with cross-flow, that is, flow normal to the long axis of the structure. The book treats a specific set of problems that are fundamentally and technologically important: galloping, vortex-shedding oscillations under lock-in conditions, and rain-and-wind-induced vibrations, among others. The emphasis throughout is on providing a physical description of the phenomena that is as clear and up-to-date as possible (Cambridge University Press website). Professor Paidoussis’ book is available on the Cambridge University Press website. 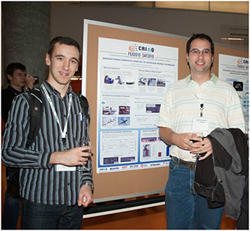 In October, PhD candidates Timotei Centea and James Kratz won first prize at the Student in Aerospace Forum 2010 for their poster, “Manufacturing composites using out-of-autoclave prepreg technology.” Their research contribution was part of a large CRIAQ project funded by NSERC, Bombardier Aerospace, Bell Helicopter, Delastek and CRIAQ in collaboration with Concordia, UBC and NRC. In November, Master Candidate Rajaprakash Ramachandramoorthy won second prize at the Auto 21 TestDrive competition for his research on laser welding of thermoplastic components. The contest awards cutting edge technologies and automotive knowledge developed in part by university graduate students. Rajaprakash’s project was a collaboration between McGill, the Royal Military College and Queens University, and was funded by Auto21 Network Center of Excellence. 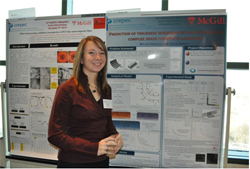 In December 2010, Master Candidate Mélanie Brillant took first prize for her poster titled “Prediction of thickness variations in out-of-autoclave complex shape composite laminates” at the Annual Colloquium of CREPEC (Centre de Recherche en Plasturgie et Composites du Québec). After taking top prize at the Regionals for the ASME (American Society of Mechanical Engineers) student design competition in April, U3 McGill Mechanical Engineering students Daniel Mok, Chris See-Hoye, Alain Ouellet and Alex Tarasevych were invited to the National Competition held in Vancouver this November. We are happy to announce that they placed third out of twenty-one teams! This final round of the ASME student competition showcased the best designs for an autonomous recycling sorter, a project that required teams to build a machine to sort twelve items consisting of glass, steel, aluminum and plastic. Dr. Sudarshan Martins originally chose this challenge for their Conceptual Design class and the team went on to win not only the class competition, but the Regional Competition as well, becoming the only qualifying Canadian team at the Nationals. With teams from all over the world including the United States, Hong Kong, Lebanon and Singapore, competition was tough, and we are extremely proud of the Team’s accomplishments. We are happy to announce that Mechanical Engineering students of Professor Larry Lessard have taken home first prize at the 2010 SAMPE Bridge Competition. The team, consisting of Xavier Brulotte, James Kratz, Time Centea, Erin Quinlan, Steven Phillips, Swaroop Viswewaraiah, Lolei Khoun and Kaven Croft, contended with over 80 universities across Canada and the United States to design a lightweight composite bridge. There were four categories of competition, and McGill came first in the "Natural Fiber" category with their winning Flax-Fiber design. The competition was held in Seattle at the May 2010 at the SAMPE (Society for Advanced Materials and Process Engineering) International Composites Conference. This is the biggest and most important annual conference in composite materials in North America. 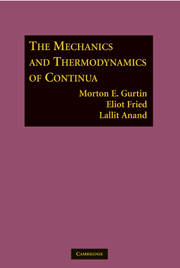 The Mechanics and Thermodynamics of Continua presents a unified treatment of continuum mechanics and thermodynamics that emphasizes the universal status of the basic balances and the entropy imbalance. These laws are viewed as fundamental building blocks on which to frame theories of material behavior. As a valuable reference source, this book presents a detailed and complete treatment of continuum mechanics and thermodynamics for graduates and advanced undergraduates in engineering, physics, and mathematics. The chapters on plasticity discuss the standard isotropic theories and, in addition, crystal plasticity and gradient plasticity. 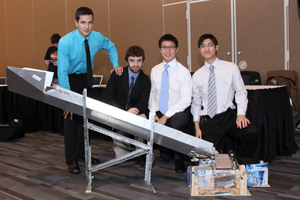 McGill Students Win Regional ASME Student Design Competition; Next Up, Nationals! We are happy to announce that Mechanical Engineering students, Oleksiy Tarasevych, Christopher See Hoye, Daniel Mok and Alain Ouellet have won the regional ASME (American Society of Mechanical Engineers) 2010 student design competition! Since 2002, the ASME student design competition has been used as the term project in the MECH 292 Conceptual Design course, taught this year by Mr. Sudarshan Martins, PhD student of Professor Peter Radziszewski. This year's competition, titled "Earth Saver", focuses on designing, building and testing an autonomous system capable of sorting recyclable materials into separate bins. 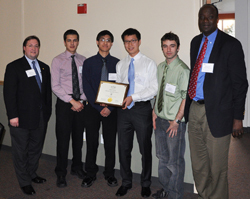 Having won the regional competition, the team proceeds to the National ASME Competition in November in Vancouver B.C. 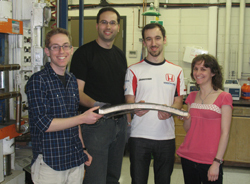 The last McGill team to have won the regional competition went on to win the National ASME Competition in 2006. We wish them the best of luck! 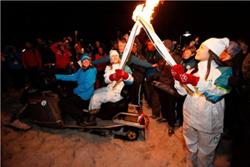 McGill's Electric Snowmobile carries Olympic Torch in Whistler, BC! We are very proud to announce that McGill's Electric Snowmobile had the honour and privilege of carrying Olympic athlete and freestyle-skier Julia Murray and the Vancouver 2010 Olympic Torch on Day 99 of the Torch's relay across Canada from Squamish to Whistler, BC. Mechanical Engineering Professor Peter Radziszewski and his team worked diligently to assure the Electric Snowmobile would be ready for its Olympic moment, and we commend and congratulate them on their excellent work and on this proud moment for them and for McGill! The January/February 2010 publication of Canadian Geographic features a short article on Professor Peter Radziszewski's student-designed Electric Snowmobile and one of its creators, McGill graduate student, Simon Ouellette. The article, entitled Green Machine and written by Mathew Klie-Cribb, focuses on the development and function of the Electric Snowmobile and highlights McGill student innovation and design. The Fall/Winter 2009 publication of McGill's alumni magazine, McGill News, showcases the research of distinguished Mechanical Engineering Professors Wagdi Habashi, Andrew Higgins, Damiano Pasini, Christophe Pierre, Peter Radziszewski, and Vince Thomson and highlights their fundamental contributions to Montreal's thriving Aerospace industry. Touching on a variety of subjects and research interests including the prevention of space disasters, lunar rovers, and treacherous airplane ice, the full article, titled Engineering Flies High, is a fascinating look into the world of Aerospace technology and development. Professor Marco Amabili, Canada Research Chair (Tier 1) in Vibrations and Fluid-Structure Interaction, has been invited to join the editorial board of the International Journal of Structural Stability and Dynamics, starting 1 January 2010. Professor Amabili is already an Associate Editor of the ASME Applied Mechanics Reviews, the Journal of Fluids and Structures and is member of the Editorial Board of the Journal of Sound and Vibration. 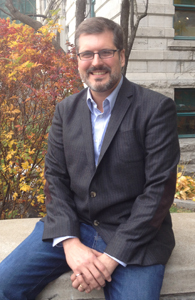 We are pleased to announce that Professor Jeff Bergthorson has been awarded a prestigious Québec Government Bursary. He is one of five outstanding Fall 2009 recipients in the Faculty of Engineering of a Bourse d’Enseignement en Génie from the Québec Government’s Ministère de l’Éducation, du Loisir et du Sport. The value of this award is approximately $25,000 annually over five years. The Programme de Bourses d’Enseignement en Génie et en Administration dans les Universités Québécoises recognizes significant teaching and research contributions and is designed to help Québec universities attract and retain top-caliber professors and professors with significant potential. Professor Wagdi G. Habashi has been elected Fellow of the American Institute of Aeronautics and Astronautics. This distinction of Fellow has been awarded to Professor Habashi by the AIAA and its Board of Directors for his valuable and important contributions to the technology of aeronautics and astronautics. 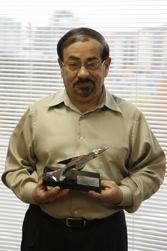 As an outstanding member of the Institute, he joins the list of the most respected names in the aerospace industry. Research is revealing a hidden structure within liquids and gases that guides the movement of everything from pollution to aeroplanes. The theory of Lagrangian coherent structures was started about 10 years ago by George Haller, who was then at Brown University, in Rhode Island, and is now Chair of our Faculty’s Mechanical Engineering Department. Haller had been working in the fashionable mathematical field of chaos theory—an explanation in search of a problem—when he came across a suitable problem in the form of mountains of data accumulated by various ocean and atmospheric scientists of his acquaintance. At the moment Dr Haller is collaborating with Wenbo Tang of Arizona State University and Pak Wai Chan of the Hong Kong Observatory to apply Lagrangian theory to the problem of aircraft taking off and landing in difficult circumstances. For more information see the following article in The Economist. "George Haller, an engineering professor at McGill University in Montreal who forged the mathematical criteria for finding such structures in fluid flows, is working with the airport’s officials to design a tool that allows pilots to see and navigate around the structures. It will rely on data from laser scans, analyzed by computers as planes approach the airport." This research, done by Prof. George Haller, the New Mechanical Engineering Chair, was recently cited in the New York Times Science section. Two of the Department’s newest faculty members have been awarded the prestigious Canada Tier I Research Chair. Professor Amabili received a Canada Research Chair in Vibrations and New Fluid-structure Interaction and Professor Fried received a Canada Research Chair in Interfacial and Defect Mechanics. Professor George Haller has been appointed Chair of the Department of Mechanical Engineering. Professor Haller has taught at Brown University and MIT, and, most recently, served as Executive Director and Head of Morgan Stanley’s Budapest Mathematical Modeling Center. Minister of Economic Development, Innovation and Export, Clément Gignac, announced today the funding of a new project entitled Manufacturing an Aerospace Primary Structure Component Made of Thermoplastic Matrix Composites. Lead by Professor Pascal Hubert of McGill University, the $350,000 project will be a collaboration between McGill, Bombardier Aerospace, the Institute of Industrial Materials, National Research Council of Canada, the Consortium for Research and Innovation in Aerospace in Quebec, as well as InteligeNDT and the Technische Universität München in Bavaria. Thermoplastic matrix composites are easily recyclable, damage-tolerant, and highly resistant to the environment. 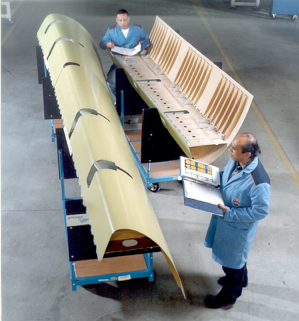 Although a significant amount of literature exists on the formation and mechanical performance of these materials, practical applications to aerospace components are still very limited. This Quebec-Bavaria collaborative project combines driving forces in the areas of design, manufacture and characterization of components made of composite materials in order to evaluate the costs and performance of an aircraft component identified by Bombardier Aerospace. Professor Angeles received this distinction on May 13, 2010. Prof. Habashi, also a Fellow of the Royal Society of Canada, and an internationally recognized authority in Computational Fluid Dynamics, has developed efficient applied mathematical solutions to a wide range of complex aerospace problems for aircraft, rotorcraft and jet engines. His research has resulted in a code used worldwide throughout the aerospace industry in dealing with the potentially dangerous problem of in-flight icing. 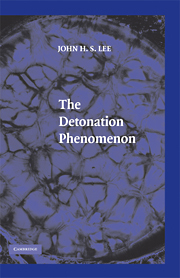 Professor John Lee published a new book titled, “The Detonation Phenomena”, with the Cambirdge University Press in September 2008. The book has lately received excellent reviews from both the Journal of Theoretical and Computational Fluid Dynamics and the AIAA Journal. 'The Detonation Phenomenon by Professor John H. S. Lee is intended for engineers and graduate students with backgrounds in thermodynamics and fluid dynamics. It fulfills that mission perfectly. The book is an excellent, thorough review of the basic experimental and theoretical aspects of gas phase detonation.' Journal of Theoretical and Computational Fluid Dynamics. 'The mathematical material is broadly accessible to undergraduate and graduate students while at the same time providing a sophisticated tutorial for experienced researchers coming to detonation from other fields. … Lee's treatment is extensive but deliberately not encyclopedic.' 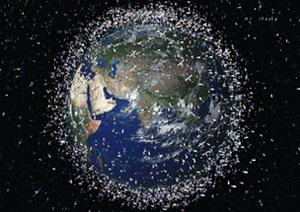 AIAA Journal, Vol. 47, No. 5, May 2009.